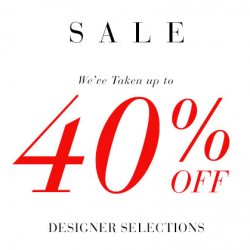 Saks Fifth Avenue cuts up to 40% off designer selections. Plus, bag free shipping via coupon code "HOLIDAY". With direct shipping to Singapore provided. Saks Fifth Avenue cuts 25% off select items sitewide via coupon code "THANKYOU2" during its Family and Friends Sale. Plus, it even applies to sale items. 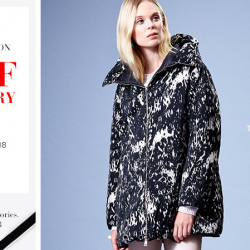 Saks Fifth Avenue offers for Two Days - Online Only. Recieve $75 off your $350 purchase when you shop women's and men's shoes and bags. Valid till 22nd Sept. 2015 only. 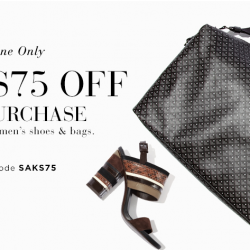 Use Code SAKS75. Shop Now! 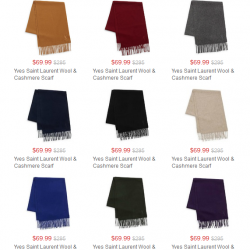 Saks Off 5th offers Yves Saint Laurent Wool & Cashmere Scarf for only $69.99 ($295, 76% off) with free shipping on orders over $99 via coupon code "SHIP99". 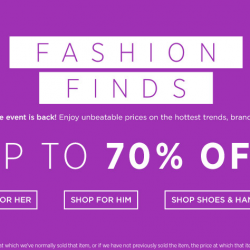 70% OFF Saks OFF 5th: Take up to 70% OFF on hottest trends, brands and style. Enjoy Saks OFF 5th offer you Fasion your favorite event is back. Enjoy unbeatable price on the hottest trends, brands and style. And save up to 70% OFF. Direct shipping to Singapore provided. 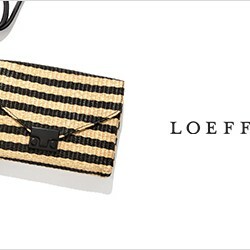 Saks Fifth Avenue offers Loeffler Randall Handbags Purchase and save Up to $175 OFF Purchase via coupon code "SAKS74". Saks Fifth Avenue is an American department store chain. It is now offering an extra 30% OFF on Melissa Shoes via the coupon code shown below. Free express shipping to Singapore on orders over US$100.